Chicano students tell Hillary Clinton to get out of East LA | Fight Back! Students and community members listen to speeches on ELAC campus before Hillary Clinton arrives. 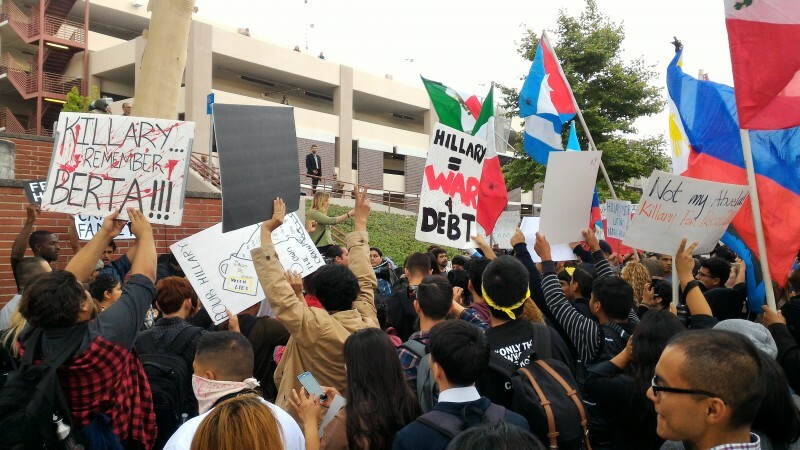 Los Angeles, CA - On May 5, students and community members protested the visit of presidential candidate Hillary Clinton. Clinton spoke to supporters on the East Los Angeles College (ELAC) campus Thursday afternoon. 500 protesters demanding she leave the campus marched on the gymnasium where she spoke. 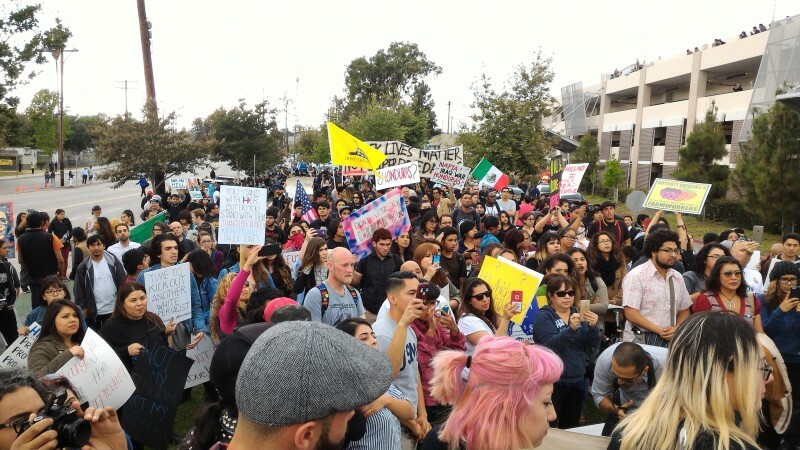 Protesters gathered in nearby Belvedere Park and marched to the campus chanting “Deport Hillary!” “Hillary fuera! Fuera de East LA!” and “Chicano power!” Once on campus they were met by East LA sheriffs. Many of the sheriffs were on horseback. Many police helicopters hovered overhead. As the protesters kept chanting they gathered on campus for a round of speeches. After the speeches, they marched on the gymnasium and were met by barricades and more police.